We offer a wide range of Material Handling Products that provide direct protection of ESD devices from electrostatic discharge. Manufactured using latest technology with quality raw material these products have earned great accolades among our clients all over the world. Electro Static Discharges as well as Scratches ..
Bottom Corners , Handles for easy and long term handling..
Partitions are made of Specially Designed 10mm Esd Eva Foams with Die Cutting to ease the Pick/Place of Mobiles as well as protcet them from Scratches due to multi handling… Based on Customers requirements- 40,60,80 or 100 Pockets can be made..
We offer a wide range of ESD Bins that are manufactured with Polypropylene Copolymer. These are provided with Strong rear lip for use with louvered panels that make it resistant to most industrial solvent and enhance the withstanding capacity against higher temperatures. 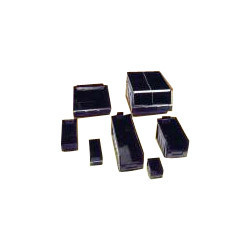 We have also manufactured an extensive range of ESD Modular Systems an ideal ESD plastic storage systems based on standard modules which can be interlocked and stacked on top of each other. These have four sizes which can be interchanged as per the requirements of the clients. 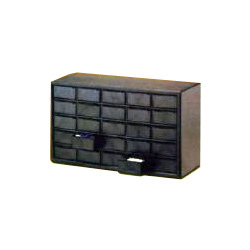 Manufactured as per the recommendations provided by our research and development wing, we have been able to design and manufacture a wide rage of ESD Component Organizers that offer systematic storage of Electrostatic sensitive devices.